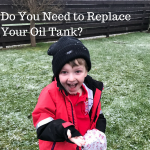 Do You Need to Replace Your Oil Tank? No problem, just get a professional in to check your entire system, including the tank. This is to make sure that the previous owner looked after everything or to spot problems before they grow. If you’ve just used supersaveroil to fill up for the winter, you don’t want to spring a leak! Dents and corrosion – if you spot these, then there’s either damage or there’s something wrong with the internal workings. Unstable legs or base – this is usually due to a sub-standard installation, but over time an uneven tank will fail to perform properly so if you see anything like this, book an inspection immediately. The tank is in an exposed location – if your tank is particularly exposed to the elements and is often covered by snow for example, then this is an extra burden so make sure it’s inspected regularly. A broken fuel gauge – if it doesn’t move or is wrong, it needs fixing. If there’s oil anywhere around the tank, there’s probably a leak, which will need to be sorted out, make sure you also look for cracks or splits in the fuel lines too. A sudden, unexplained rise in the rate you use oil could indicate problems with either a leak or with the boiler itself. Sudden changes in temperature can cause fixings to contract and expand and over time this can lead to cracks. You should also make sure that snow isn’t left on top of the tank for long – remove it as soon as possible. Snow lingers much longer than rain and so is more likely to make its way into the tank. You should also look out for icicles and make sure that there’s a clear path from your house to the tank, just in case you need to get to it in a hurry. Many tanks are by the side of a house or outbuilding so one side is difficult to keep an eye on. This means that sediment and rust can accumulate for several years before they make themselves known, by which time it’s often too late to save the tank. You may notice small fissures or rust spots on the outside and if you do, you need to take action immediately because these can be signs of serious internal wear – serious enough to cause a huge spill if the tank gives way. Sadly, it’s time to go. This tank has outlived its safe life expectancy and needs to be replaced, even if there’s no obvious problems. It’ll almost certainly have a layer of sediment at the bottom, despite your best efforts, and if you ever run very low on oil, this sludge will be drawn into your boiler, which will cause another set of problems. 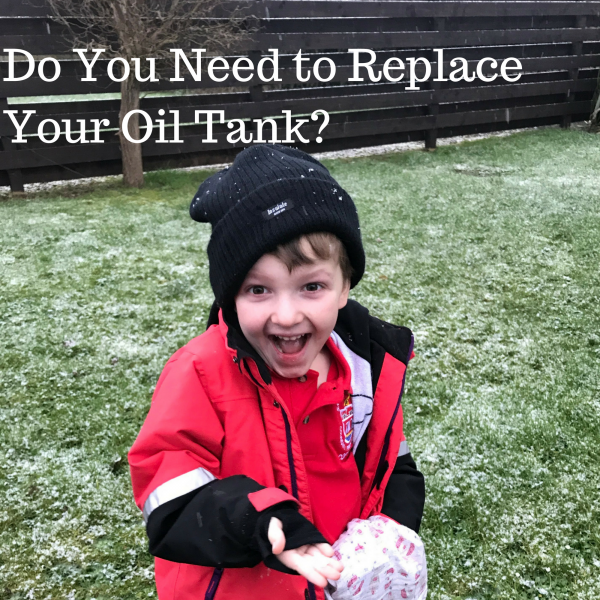 If you have one, do you think you may need to replace your oil tank? I’ve never lived in a house with an oil tank but I can see why it would be important to replace. Oh this is an awesome tips! Some of my friends need this. I will definitely share this.